Saturday, September 28, 2019 Mark your calendar now for FACES — the conference which brings together food allergy families, clinicians and key thought leaders throughout the Midwest region for education and engagement. Science and Outcomes of Allergy and Asthma Research (SOAAR) is a research program based out of Northwestern University’s Feinberg School of Medicine and Ann & Robert H. Lurie Children's Hospital of Chicago. Led by Ruchi Gupta, MD, MPH, the SOAAR team aims to find answers and shape policies surrounding childhood food allergy and asthma. The faces of food allergy are diverse and include the children and adults who live with it, as well as everybody who cares for them. 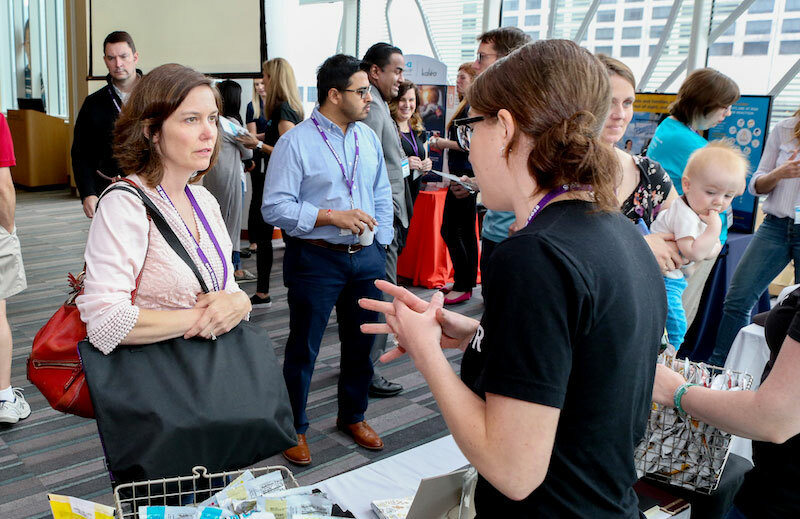 Families who attend this conference will hear the latest research and advancements by top clinicians and researchers in the Midwest, connect with other families, and build their network of support. In addition, families will participate in an open forum to have their questions answered and concerns heard. We hope to provide a supportive environment for kids & teens with food allergies to connect with one another and learn the latest research and techniques to help manage daily life with food allergies. Clinicians and researchers will offer kids & teens an opportunity to ask questions and engage with each other, empower them to better understand and manage their food allergies, and help to build their network of support. "This conference was amazing. Navigating allergies can be overwhelming and socially isolating. Online info is great, but this type of event builds a great sense of community and support." Midwest FACES is free of charge for families as our goal is to have them attend without any cost barriers. Your sponsorship will help make this opportunity possible. Additionally, we are offering exhibitor booths for your company to engage with attendees.